I'm really excited about the first in a series of Festivals curated by Green Chimneys, the listings magazine which Tom Challenger and I started up at the beginning of this year. True to the grass-roots, artist-led ethos of the publication, we're hosting the two nights of the festival at The Jazz Nursery and Jazz at the Con – venues which have proved what can be achieved when artists club together and make something happen for themselves. The first night – this Thursday at The Jazz Nursery in Southwark – features a new collaborative big band Noise Union, led by drummer Sam Jesson, which brings together musicians from the London and Birmingham scenes. The night will also feature the Con Afrobeat Orchestra and a late night jam session, led by the Nursery's very own Nick Costley-White. 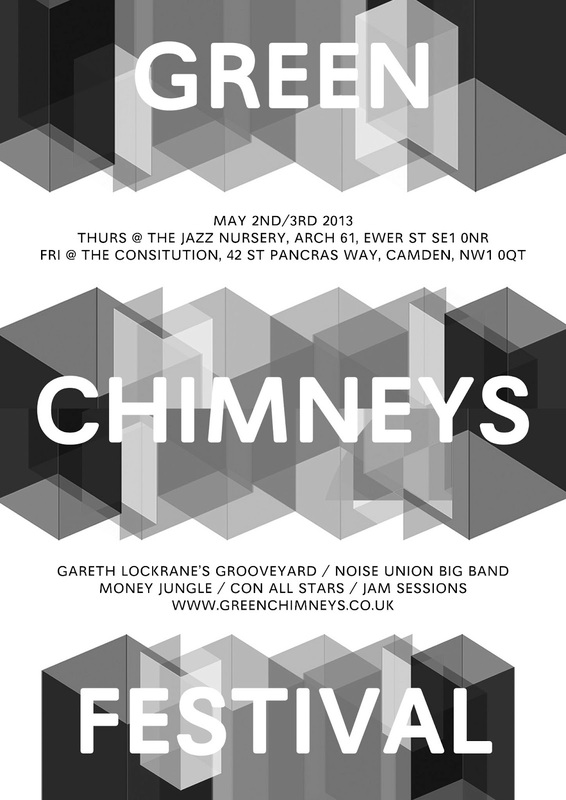 Friday night is another triple-bill, this time at the Constitution in Camden, opened by Gareth Lockrane's Grooveyard Unplugged. Gareth is an old friend and one of the most fantastic flute players you're likely to hear and we're chuffed to be bringing his group to the intimate setting of the Con cellar. As if this wasn't enough, this set is followed by Money Jungle – performing the raucous, joyous music of Mingus and Monk with unexpected twists and turns – and another late jam session featuring many of the festival performers. Tickets are available on the door for both events so arrive early!